L6/40 - artillery strike modification has been added. Sd.Kfz.234/3 - artillery strike modification has been removed. L3 CC - Rate of fire has been increased from 30 to 60 shots per minute. “Shoulder support” stabilization added. Centauro, Centauro ROMOR - First-order ammo rack mechanics added. A bug when there was no ammo rack detonation has been fixed. A bug when an APHE round fuse didn’t work after the armour had been penetrated has been fixed. AB41, AB43, AS42, M11/39 - ammo use order has been updated. Chi-Ha - A bug when the commander and not the gunner was responsible for firing the main gun has been fixed. AUBL/74 - weapon recoil impulse has been reduced. M113A1 (TOW) - Non-functional modification (for this vehicle) “Adjustment of Fire” has been removed”. M60A1 Ariete - a bug with unreasonably high repair cost has been fixed. 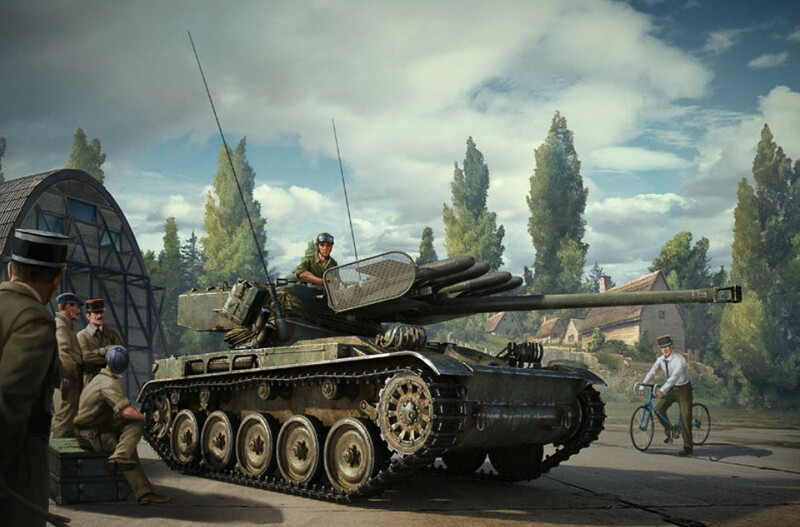 M42 (Japan) - A bug when guns were able to fire just after overheating has been fixed. B1 bis, B1 ter - hatch thickness (on the rear side of the turret) has been increased from 38mm to 56mm. Source: Notice provisoire de la tourelle APX.4 (Texte), Ministère de la guerre, 1937. Sidam 25 - RP requirements have been changed from 380,000 to 210,000. M4 Tipo Ic - A bug with the wrong number of crew members has been fixed. It is now 5 instead of 4. Sho’t Kal Dalet - MG naming corrected. OTOMATIC - a bug with the camera being positioned too low has been fixed. Previously it sometimes caused the SPAA model to disappear at specific angles. Ho-I - Elevation angles corrected from -8/+15 to -15/+20. Source: A03032210600 of the Japanese Center for Asian Historical Records (JACAR) "Explanation of the trial made Model 99 7.5 cm tank gun"